I had the pleasure of attending the PDMA Co-Creation conference in Arizona in June. The first day was hosted by Local Motors. Local Motors is a company that crowdsources specialty vehicles. This business model provides an interactive online platform for crowd-created automotive innovation. Typically, traditional auto manufacturers take 6 years on average to bring a car concept to market. Local Motors is able to reduce that substantially. They recently competed in a competition held by DARPA to create a combat support vehicle for delivery and evacuation missions. Leveraging a chassis created in a different Local Motors crowdsourced vehicle, DARPA invited the general public to design the size, shape, and features of the car. Local Motors hosted the contest providing requirements, engineering guidelines, deliverables, “ignition kits” with necessary design tools, and a discussion forum on their website. Local Motors experts work with the crowd to ensure specifications are met and all cars meet safety requirements. Prize money of $1500 for 1st place, $1500 for 2nd, and $1000 for 3rd were given to the best design. The car was designed in 4 months, and built in 14 weeks. Significantly faster and at less expense than typical military vehicles. It is combat ready and meets all specs. Even President Obama got in the mix. 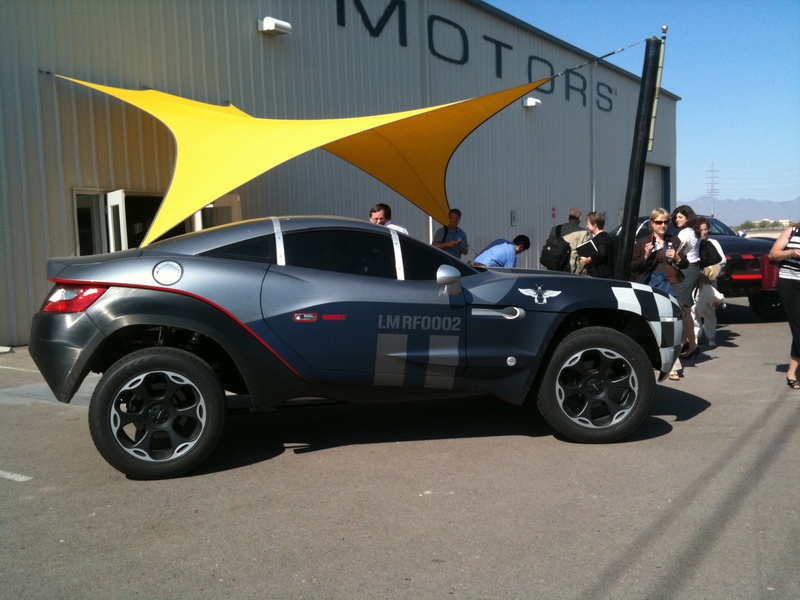 A similar contest was held by Local Motors to crowdsource a desert race vehicle called the Rally Fighter. What’s interesting about the Rally Fighter is it consists of m ostly off the shelf parts. GM engine, Honda Civic taillights, Miata door handle, etc. By leveraging existing parts Local Motors avoids costs associated with manufacturing. The car is built in a limited run (2000) at Local Motors microfactories. Purchasers go to the microfactory for 2 3-day weekends to build the car from the chassis up. Makers can also create a custom car wrap with whatever design they choose. After the 2nd weekend the new owner drives the car off the lot or ships it home. What’s up next? Local Motors announced at the conference they will be crowdsourcing an electric vehicle. I believe this will be a wake-up call for auto manufacturers. Stay tuned.